It is not always easy to spot inefficiencies when it comes to your HVAC air conditioning unit. In some cases, you may not even realize there is a problem until you begin to notice unusually high electricity bills. That is why routine maintenance by an HVAC professional is so useful for sustaining optimal performance. If you notice you are not getting the results you should out of your HVAC unit, it can be due to a variety of factors. 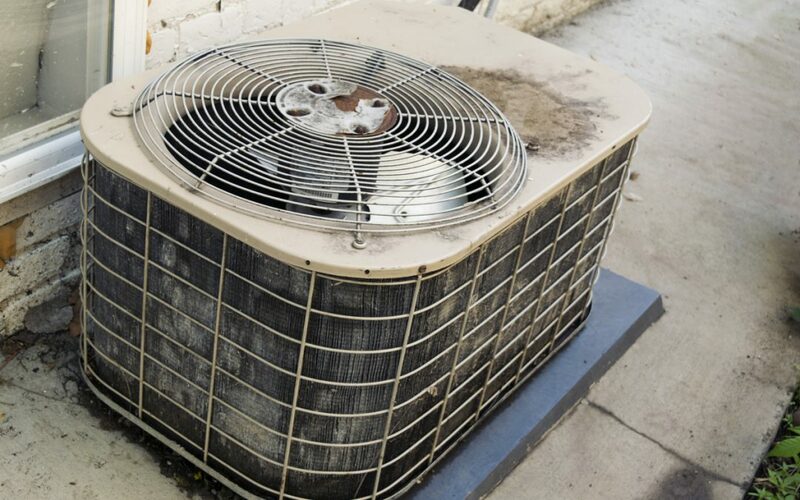 There are many different elements that may play a role in problems with your air conditioner. For your HVAC air conditioning unit to operate effectively, air needs to be able to flow in and out, and throughout the system with ease. If this is not happening, then the unit will work harder and run for longer periods in an attempt to bring down temperature levels. If coolant levels become low in your air conditioner, then the unit works harder and runs longer to try to compensate. The coolant, or refrigerant, that powers your HVAC unit should never run out, so if levels are low, it means that there is a leak. Over time, dust, dirt, and grime will start to build up on the inside and outside of your HVAC unit if it is not regularly, and properly, cleaned. This accumulation of dirt can lead to efficiency problems for your air conditioner. One area inside an HVAC unit that can cause problems when dirty, are the evaporator coils. These coils are responsible for absorbing heat, and then replacing that heat with cool air. This process is simple and smooth for clean evaporator coils. However, when the coils are covered by a layer of dirt and grime, a barrier is formed, preventing the coils from doing their job. This results in a continually running AC unit, without the intended benefits. If you see ice beginning to form anywhere on your HVAC air conditioning unit, it is a good idea to call in some professional help. If you are not getting the expected performance out of your air conditioner, perhaps it is not big or powerful enough to cool the space you need it to. A consultation with an HVAC expert at Air In Motion Heating & Cooling can take care of this problem. Like any other machine, if it is neglected and not properly cared for, problems are bound to arise. Routine scheduled maintenance by an Air In Motion HVAC technician can help keep your unit running smoothly all year round, while reducing electricity bills and the need for repair costs.